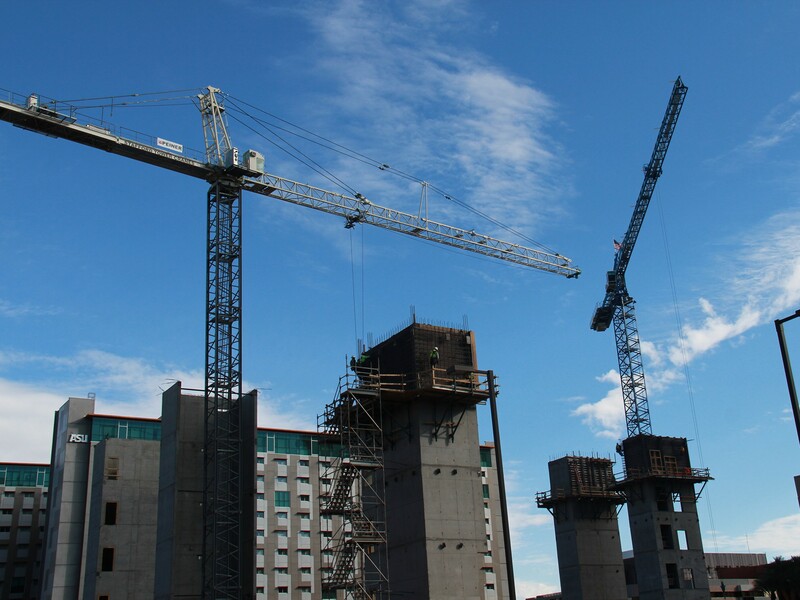 Arizona lost more construction jobs than any other state in the nation last year, according to a report released this month by the Associated General Contractors of America. And, experts warned, the lagging numbers just might be the “new normal” for the state. Arizona lost 4,300 construction jobs from December 2013 to December 2014, the report said. Mississippi had the second-highest number of job losses – 4,000 – during the same time period. Arizona’s figures translate into a 3.4-percent loss in jobs, giving the state a rank of 48 out of the 50 states in terms of percentage lost. 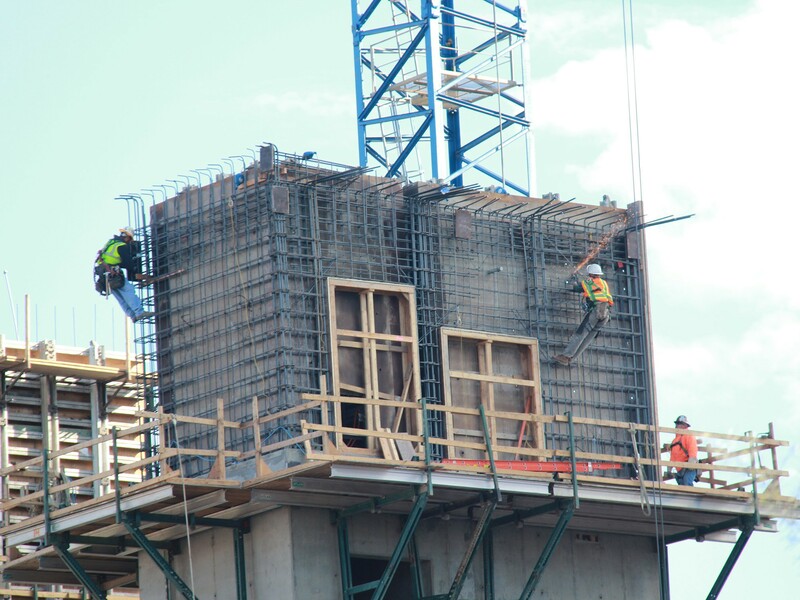 “The construction industry is still bouncing around the bottom of the (Great) Recession,” said Mark Minter, executive director of the Arizona Builders Alliance, the state chapter of the national construction industry trade association. After a recession, construction usually does well, Minter said. But it hasn’t played out this time for Arizona. Lee McPheters, director of the JPMorgan Chase Economic Outlook Center at the W. P. Carey School of Business at Arizona State University, said the recession hit Arizona harder than other states. The state has only restored about 75 percent of its lost jobs, McPheters said. At the peak of the housing bubble in Arizona, about 80,000 single-family housing permits were issued per year. In 2014, that number dropped to about 20,000, McPheters said. There is a weak demand for housing due to overbuilding prior to the recession. And population growth isn’t as strong as usual, which translates into reduced demand for new homes, McPheters said. High vacancy rates also add to the lagging demand for new construction, he said. McPheters said commercial vacancy rates are at about 25 percent. Another reason for Arizona’s big loss comes from the shutdown of construction on an Intel chip plant in Chandler, Minter said. The stoppage cost a few thousand jobs, he added. Arizona was the only Western state to lose construction jobs last year. California added 26,000 jobs, and Texas increased by 47,500 jobs, according to the association. Utah, Nevada, Colorado and New Mexico also saw growth in construction jobs. 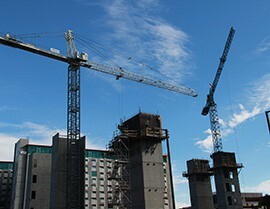 The association examined data from the U.S. Bureau of Labor Statistics to compile its construction employment report. To turn the steep decline around, Arizona needs to focus on fixing the state’s reputation in education, Minter said. He said businesses are reluctant to relocate to Arizona because the state’s educational performance and funding fall near the bottom nationally. He said the state should invest in K-12 and higher education, and it should provide more funding for research at the state’s major universities. Minter predicted the lagging growth is the “new normal,” and Arizona’s construction industry will not reach the highs it has in the past. However, he said Arizona will see some improvement along with the rest of the nation. But it won’t come quickly. “I don’t think there is a silver bullet to turn the process around,” McPheters said. A new report reveals Arizona lost more construction jobs than any other state in the nation last year. While there won't be any steep gains in 2015, the employment outlook of the industry is expected to improve slowly. 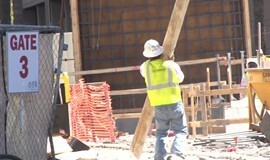 Construction on Arizona State University’s $129 million law school building in downtown Phoenix began in July. Officials expect the Arizona Center for Law and Society to open for classes by August 2016. 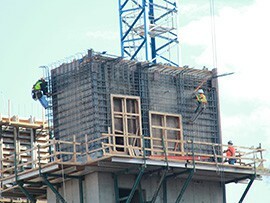 DPR Construction is the lead builder on Arizona State University’s new law school in downtown Phoenix.